On 31 December 2019 the HOFBURG Vienna will get the Viennese ball season off to a spectacular start. The HOFBURG Silvesterball is celebrating its 50th anniversary and is therefore shaping up to be an unforgettable night once again in 2019, with a packed programme and fascinating variety of visual highlights. The HOFBURG Silvesterball lives from the magic of the opulent and artistically striking scenes set in the imperial staterooms, deservedly earning it a reputation as a trendsetter on the Viennese ball calendar season after season. And the tradition will continue in 2019 as contemporary Austrian and international artists treat ball guests to a range of contemporary song and dance performances. From jazz and waltz melodies to DJ sounds and the public quadrille, the music programme has something for everyone once again in 2019. 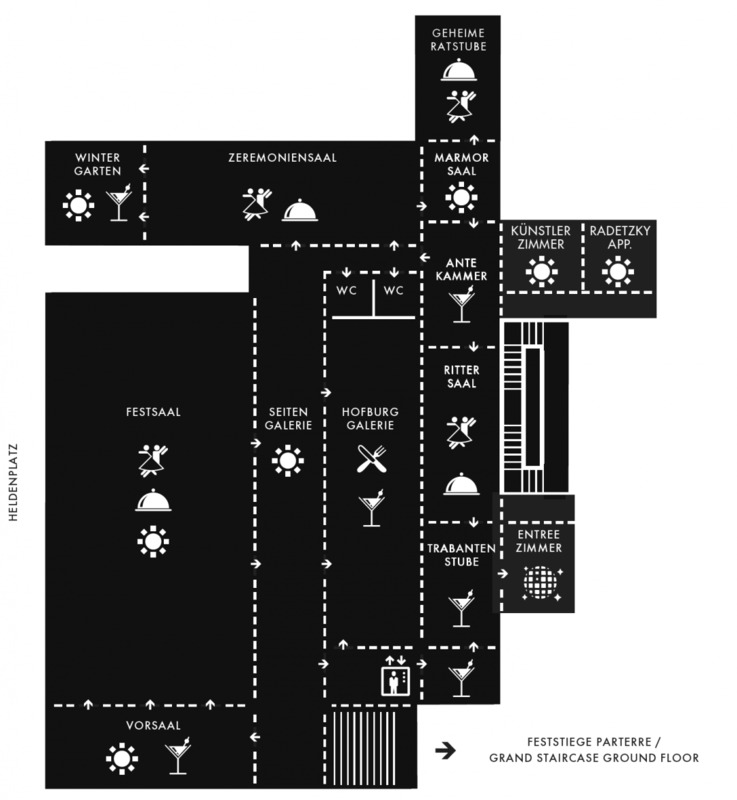 More than 120 artists will keep the party going until long into the early hours. Classical elements combined with innovative design come together in striking visual highlights. The evening's entertainment – from the official opening of the Grand Staircase and the presentation of the international debutantes from the Elmayer dance school, to the midnight show – bears the creative signature of the night's co-artistic directors, internationally acclaimed costume and stage designer Christof Cremer and renowned concert organiser Herbert Fischerauer. 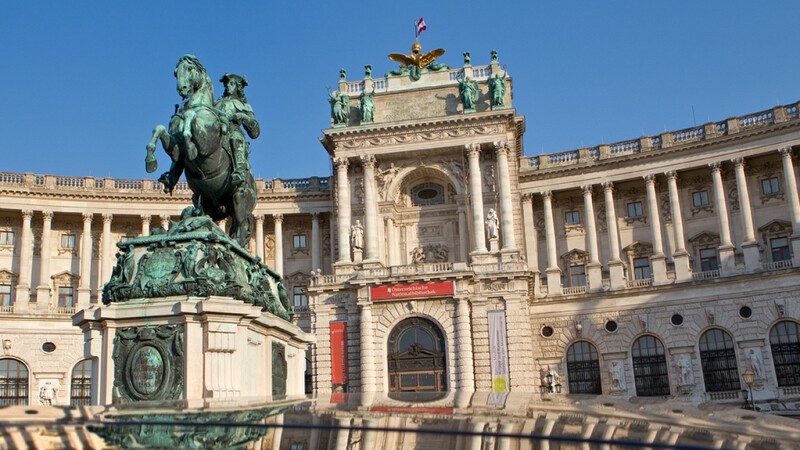 The entire HOFBURG Vienna team is involved in putting together this highlight of the social calendar. The ball draws on all of the team's strengths in staging events and brings out the very best that the magnificent former imperial state rooms at the HOFBURG Vienna have to offer its guests from 50 countries. What would the HOFBURG Silvesterball be without the customary culinary highlights? Guests can look forward to an exquisite gala dinner. A delicious ball buffet is also available to guests not participating in the gala dinner. The replica Heuriger wine tavern gives ballgoers a taste of Viennese wine culture, while contemporary cocktails are served in our chill-out lounge. Ladies will receive the latest fragrance from Guerlain, while the gentlemen can look forward to delicious pralines from Xocolat. The exclusive New Year's Eve champagne flutes featuring distinctive branding, and fans for the ladies from the HOFBURG Silvesterball Collection, are personal gifts for guests and treasured keepsakes. The Kaiserball developed from the imperial tradition of the so called “Hofball” (court ball) and “Ball bei Hof” that were organized by the imperial couple Franz Joseph (1830–1916) and his wife Empress Elisabeth (1837–1898), who is better known as Sisi. 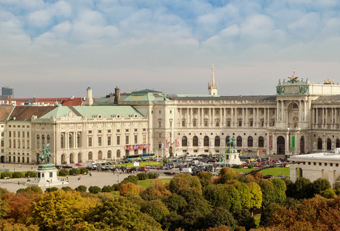 Both ball events were taking place in the Hofburg being the imperial winter residence of the Habsburg family. The Hofball used to take place towards the end of January, with Empress Elisabeth deciding the precise date. Once the court had gathered in the Zeremoniensaal - which is still one of the most stunning rooms at the Hofburg to this day- selected guests were invited to pay their respects to the Emperor and Empress in person. The popular buffet was set up in the nearby Grosser Redoutensaal. Meanwhile the dance floor was positively brimming with activity - after all some 2,000 ballgoers were in attendance. The last waltz commenced at exactly quarter past midnight, and drew this spectacular imperial event to an end. The “Ball bei Hof” took place just two weeks later. This more intimate event, reserved for the ruling elite, drew around 700 high-ranking royals and members of the diplomatic corps. To qualify as "Hochadel" (higher nobility), aristocrats were required to demonstrate a lineage going back at least eight generations on both the maternal and paternal sides.The most valuable porcelain in the imperial dining service was unpacked for a formal dinner which was served in the Radetzky apartments and neighbouring rooms. The strict seating order was dictated by rank. Ladies spared no expense and took every care to ensure their appearance matched the occasion, happily parting with between 300 and 500 Gulden for an evening dress - more than the annual income of a court servant.